A design hotel on the beach in northeastern Brazil is going to create some pretty unique scenic juxtapositions, but Vila Selvagem, in the tiny fishing village of Pontal de Maceio, might have them all beat: from the comfort of modern apartment-style suites, guests can watch the graceful progress of the jangadas, the fishing boats used by local fishermen for centuries. If you’re inclined to choose tropical relaxation over the urban setting of Fortaleza, the closest city, but don’t want to forsake contemporary design, Vila Selvagem’s stylish tranquility awaits. 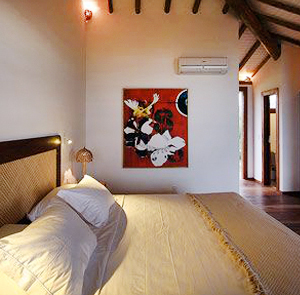 The hotel’s small size creates an intimate experience, and the suites go out of their way to ramp up the privacy. 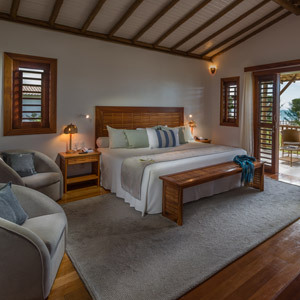 Each room features its own veranda facing the ocean, strung with a hammock between exterior walls of tropical wood. This kind of local building material defines the furniture, too, and while the rooms lack the opulence of a larger resort, they’re smartly styled, laid back and efficiently laid out. If you don’t feel like indulging in one of the hotel’s guided excursions on horseback or glass-bottom boat, feel free to sip caipirinhas by the pool. At the end of the day, fresh catch from the sea makes its way to the hotel restaurant, where it’s prepared alongside a variety of northeast Brazilian specialties. The restaurant’s terrace location ensures that you couldn’t escape the panoramic ocean view if you tried, and if you need to retreat from open air, the spa is waiting with a hammam and Moroccan clay bath. 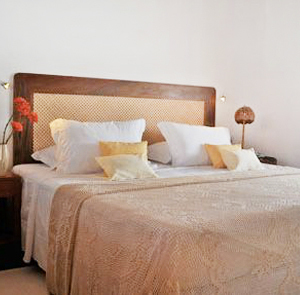 Hotel Vila Selvagem is located 130km from the Fortaleza International Airport and 20km from Aracati domestic airport. Transfers in a private taxi to and from Fortaleza airport can be organized for BRL250 each way for up to 4 guests. Please contact CustomerService@TabletHotels.com for assistance with airport transfers.